To get more information about DanTrials please send an email to info@dantrials.com or give CEO Torben Balchen a call on (+45) 3135 2683. DanTrials is located at Copenhagen University Hospital, Bispebjerg. Click to see map of location on hospital. 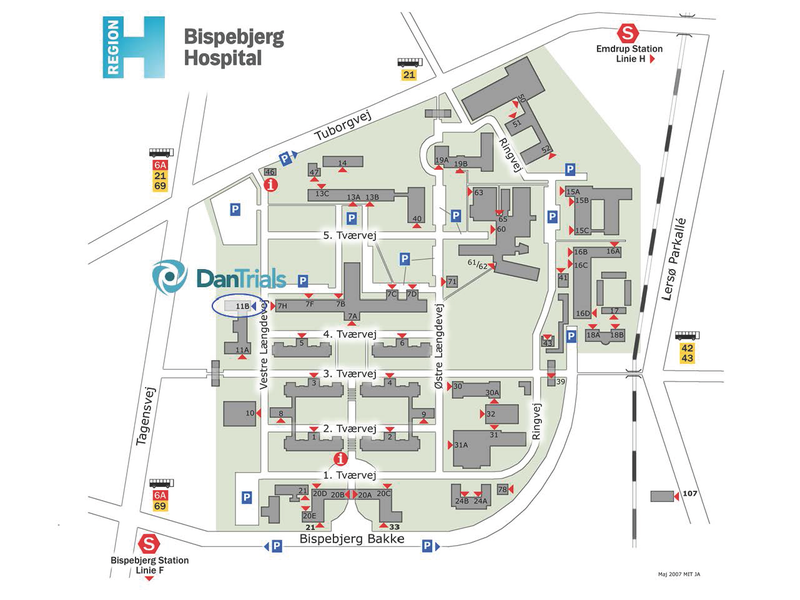 Copenhagen University Hospital, Bispebjerg (marked B on map) is conveniently located only approximately 25 minutes from Copenhagen International Airport (marked A on map). Click for written directions.